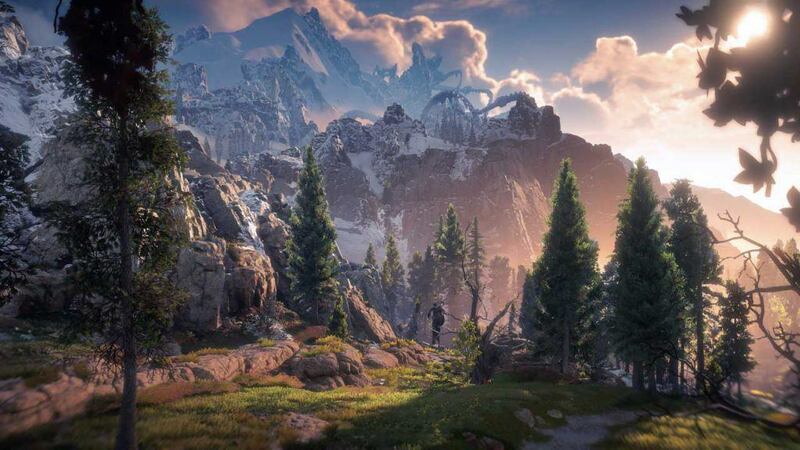 If you were to put in a blender Far Cry Primal, Assassin’s Creed, Rise of the Tomb Raider and The Witcher 3 what you’d get is something close to Horizon Zero Dawn. Close, but certainly no copy of these games. HZD borrows a lot from other open world games that came before it, yet it’s very unique in its own dimension. The robot dinosaurs are some of the coolest enemies ever. It just feels so fantastic to hunt down these beasts. Figuring out their weaknesses and testing different combat strategies is a lot of fun, at least until you get to level 30+. At this point you will become much more powerful and the threat level of enemies plummets. By the time you reach level 30 you will probably have beaten HZD’s ~20 hour story. If you go for all side quests and collectibles it takes 40-50 hours to complete. There are many side activities, such as clearing bandit camps, cauldrons (dungeons), climbing tallnecks (huge dinosaurs that reveal more of the map), and of course collectibles. I’m glad they kept the collectible count low but made them meaningful to collect. If you want all trophies you must find 60 collectibles. Collectible sets can be traded in at collectible merchants for money and weapon mods. For example: finding all 30 Metal Flowers gives you 3000 Metal Shards (the game’s currency) which is enough to buy 2-3 of the best weapons. The game world is absolutely stunning in every way possible. It feels alive, with very vibrant colors, breathtaking weather effects, and the most unique and varied game environments you can imagine. Deserts, snowy mountain tops, canyons, jungles and woods, rivers and lakes to swim in… it has it all. Each region feels absolutely different and memorable. During my open world travels I never got stuck and rarely had to take a detour to get to the desired destination. It’s very accessible, which is good for a huge open world. The map size is somewhere between Far Cry Primal and Witcher 3’s Velen/Novigrad Region. It’s fairly huge and much more detailed than most games. You can also tame and ride certain machines to use them as mounts. Fast travel is also available. In the early game you must craft fast travel packs (each travel consumes one pack). Later you can buy a permanent fast travel pack so you don’t have to craft them anymore. The combat is really outstanding. Your main weapon is a hunter’s bow which can shoot normal arrows and fire arrows. There are a bunch of other weapons, such as a sling that shoots explosives, another one that deals elemental damage, an elemental bow, a tripcaster that creates wire traps, a ropecaster that ties down enemies, and a more powerful sharpshot bow for precision shooting. Most of these weapons have multiple types of ammo which adds more variety and greater tactical freedom. There are also weapon- and armor mods. Every type of armor has different benefits, such as increasing stealth. I don’t want to spoil anything about the story. Just to put your mind at ease: it’s really really well written and very interesting. Over the course of the 21 main quests a lot of questions are being answered. It takes place in a post-apocalyptic world where human tribes and high-tech combat robots roam the earth. 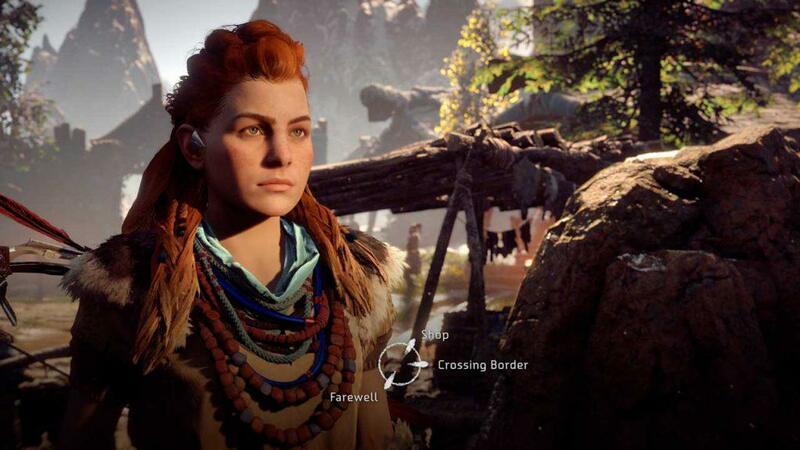 Main protagonist ‘Aloy’ is the star of the show. She was outcast from the tribes and taken in by Rost (another outcast) who teaches her how to survive in the wild. It’s evident how passionate the actors and writers are. Fantastic characters, emotional cutscenes and eloquent voice actors. During some dialogues you can choose between “heart” to show compassion, “brain” to find a smart solution or “fist” for an aggressive approach. This impacts how the dialogues play out and can decide between life and death. However, dialogue choices are the only thing to add replay value to the game. There’s not much else you can do differently on a second run. The trophies were really easy and it took 40 hours to platinum. This is one perfect game for trophy hunting. 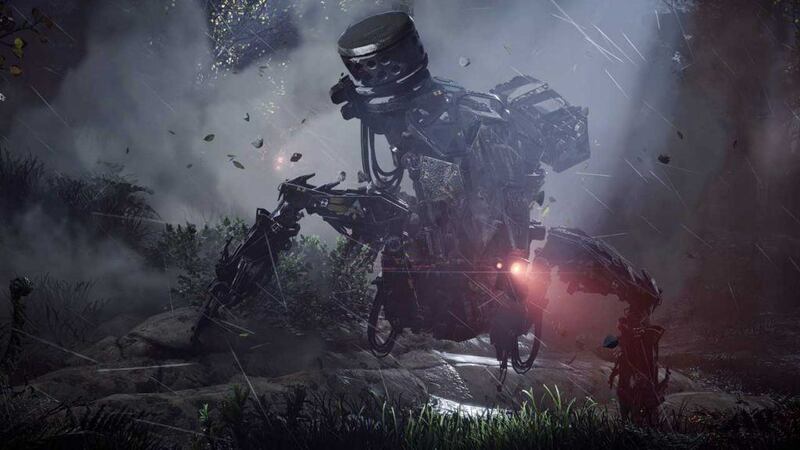 Like with most open world games, the trophies in HZD are geared towards general completion. You have to complete the story, do side missions to gain optional allies, and find several types of collectibles. On one occasion I encountered a game breaking progression bug. During side quest “Hunter’s Blind” the follow-up quest “Deadliest Game” couldn’t be triggered because the required character didn’t spawn at the quest’s starting point. This was easily solved by loading a previous quick save and replaying the quest. Still, this is one of the most prominent quest lines and very annoying. There are other reports of infinite loading screens during the game’s intro. These issues will surely get fixed in a timely manner, but if you buy the game on day one there is the possibility that you won’t make it past the intro due to infinite loading screen. If you do not get any of these bugs you’re in for a perfect experience. Bugs and Glitches aside, Horizon Zero Dawn has all the makings of a Game of the Year winner. It’s an absolute must-buy and one of the best open world games this console generation. Played on PS4 Pro in Performance Mode with Patch 1.02. Review Copy provided by Sony / PlayStation. Unlocked the Platinum Trophy in 40 hours of play time. Beaten the story, all side quests done, found all trophy related collectibles, completed all side activities. Thanks a lot for really good review! 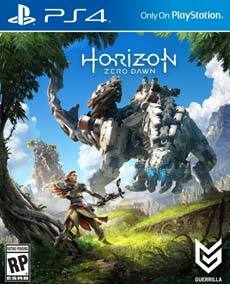 I got Horizon Zero Dawn disk today and will definitely enjoy game of year contender. Special thanks for Trophy Guide & Roadmap.